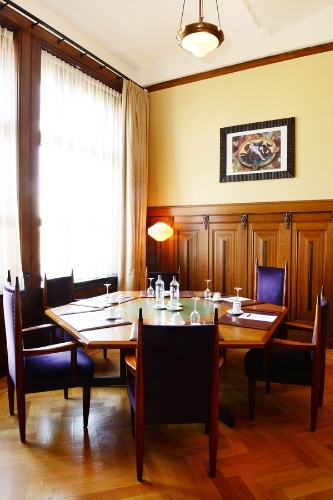 Five star deluxe Grand Hotel Amrâth Amsterdam is located in the former Scheepvaarthuis, a decorated monument and example of the Amsterdam School architecture. The hotel has 205 rooms, including 22 suites, 8 conference/banquet rooms, Restaurant Seven Seas and Bar Lounge and a Spa & Wellness centre. 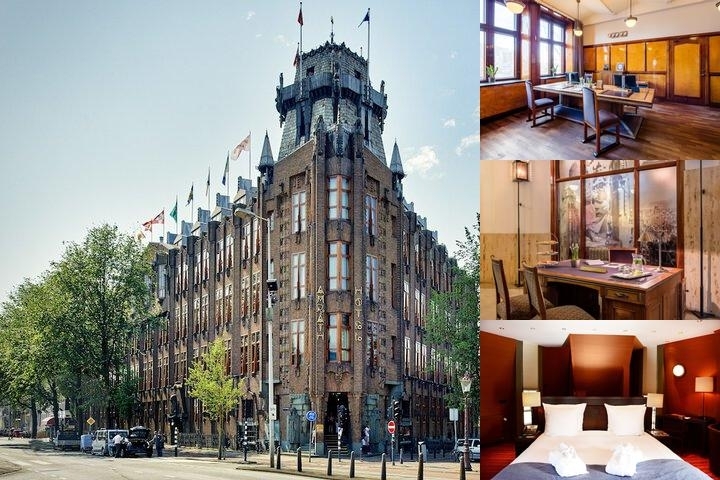 Grand Hotel Amrâth Amsterdam is located only 500 meters from the central station, where you will find bus, tram, and metro connections to all areas of the city. Everything you expect, and pleasant touches you didn't expect. 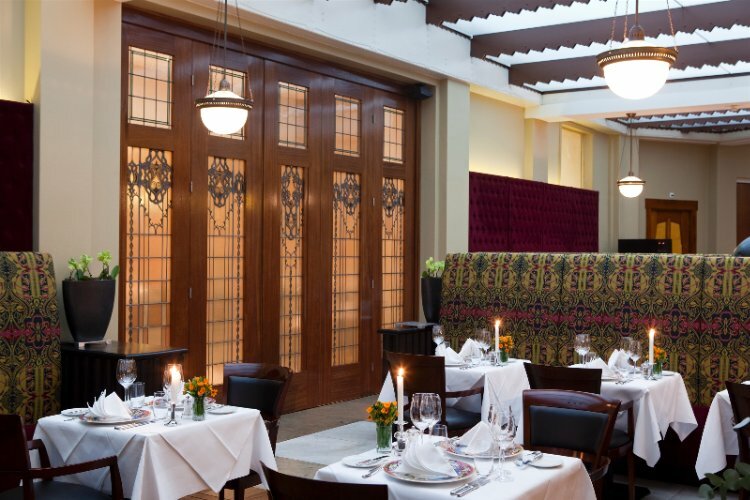 Grand Hotel Amrâth Amsterdam offers you spacious, high-ceilinged suites and rooms with plenty of daylight. They are designed in the Amsterdam School style (a variant of Art Nouveau) with warm colours and opulent forms. You have unlimited access to our Spa & Wellness. We look forward to welcoming you in 'A World of Luxury & Art'! Valet parking € 65,00 per day. 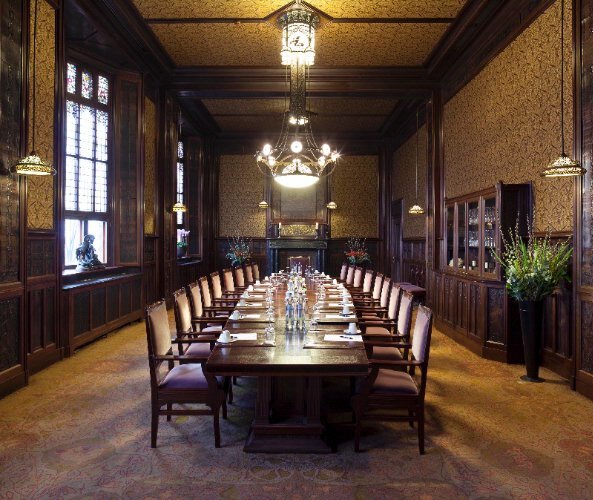 Below are the meeting, banquet, conference and event spaces at Grand Hotel Amrâth Amsterdam. Feel free to use the Grand Hotel Amrâth Amsterdam meeting space capacities chart below to help in your event planning. Hotel Planner specializes in Amsterdam event planning for sleeping rooms and meeting space for corporate events, weddings, parties, conventions, negotiated rates and trade shows. This is our largest room with its own bar. Ideal for welcoming your guests or to enjoy a nice break during your meeting. It is also the perfect location for a reception up to 150 persons. The position on the lower ground floor provides a typical Amsterdam view: pedestrians and bicycle wheels. 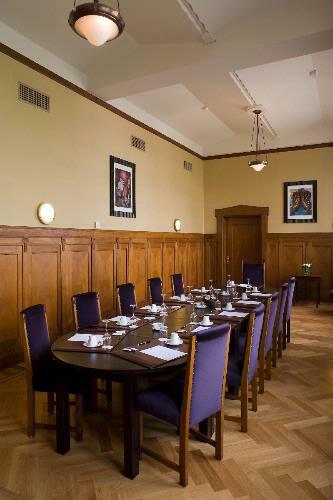 You can also organize meetings in the Ray’s club, but please consider that the room has limited daylight. The effectively usable area with chairs and tables is 59 m². Because of the V-shape of this room, coffee and tea breaks or an informal lunch can take place at the other side of Ray’s club. 14 x 5 x 2 M.
The famous Beraadzaal (Council Chamber) – where the shipping barons used to hold their meetings – has remained completely intact. Under the original open-worked brass chandelier you will find a monumental table. Dark tropical woods such as mahogany, ebony and calamander wood are worked into the panelling. The interior was designed entirely by T. Nieuwenhuis. This is the perfect location for your meeting or a private dinner for up to 34 persons, it also brings a special ambiance to a reception (upon request). It is almost an honour to be able to experience this historic location. The Council chamber is also an official wedding venue, where you can hold your ceremony. 14 x 6 x 5 M.
A classic wooden floor and beautiful tall windows with an amazing view over the Prins Hendrikkade to the water beyond. A guaranteed unique location. At the table you can seat a maximum of 20 persons in various styles, suitable for a meeting or to enjoy a private breakfast, lunch or dinner. J.P. Coen I is situated next to the Council Chamber and J.P. Coen II. JP Coen I and JP Coen II can be combined with a connecting door. 9 x 4 x 4 M.
An abundance of wood, beautiful tall windows and high ceilings create a unique atmosphere for your meeting, breakfast, lunch or dinner. At the fixed table you can seat a maximum of six persons. J.P. Coen II is situated between J.P. Coen I and the Council Chamber. JP Coen I and JP Coen II can be combined with a connecting door. 4 x 3 x 4 M.
A unique location. At the fixed table you can seat a maximum of six persons. The beautiful tall windows provide plentiful natural light and a special view over the canal, suitable for meetings or to enjoy a private breakfast, lunch or dinner. Behind the enormous armoured door of the former bank safe of the Shipping House you will find our “Wine vault”. Your experience will be greatly enhanced by the special and timeless atmosphere whilst enjoying one of the many wines from our extensive collection. It is a perfect location for an aperitif before your dinner, a wine tasting, in combination with a cheese tasting or an informal reception. Upon request it is also possible to organize a meeting. 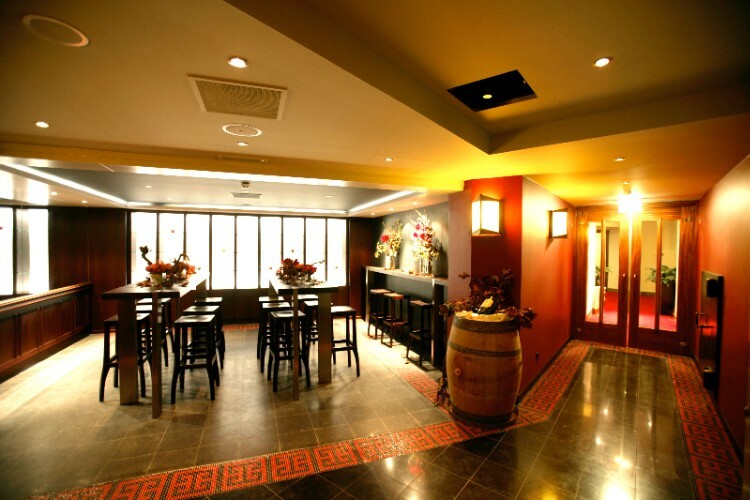 The space at the Wine vault is 38 m², the Wine vault itself is 14 m², the vault does not provide daylight. 8 x 5 x 2 M.
In restaurant Seven Seas you can dine with groups of up to 120 persons. You will dine at rectangular tables accommodating four to eight persons per table. 11 x 24 x 3 M.